A special event has been held to mark the completion of local DAB digital radio roll-out in Kent, a process that has doubled the number of listeners able to receive their local stations on DAB. Damian Collins, MP for Folkestone and Hythe and Chairman of the Culture, Media and Sport Select Committee was on hand at the event at Sandgate Primary School in Folkestone to press Digital Radio UK's green button at 9:30am to officially turn on the last of nine new transmitters designed to boost reception and coverage of local digital radio in the county. The new transmitters have made it possible for an additional 800,000 listeners to access local DAB in Kent, doubling the number of listeners in the coverage area to 1.6 million. The ceremony took place in front of pupils and staff from Sandgate Primary School and representatives and presenters from the seven stations available on local DAB in the county - BBC Radio Kent, kmfm, Heart Kent, Smooth Kent, Capital, Gold, and Encore Radio. The launch of the final transmitter, located at Turnpike Hill just outside of Folkestone, completes a programme of work to expand local DAB coverage to 95% of households and roads in Kent. 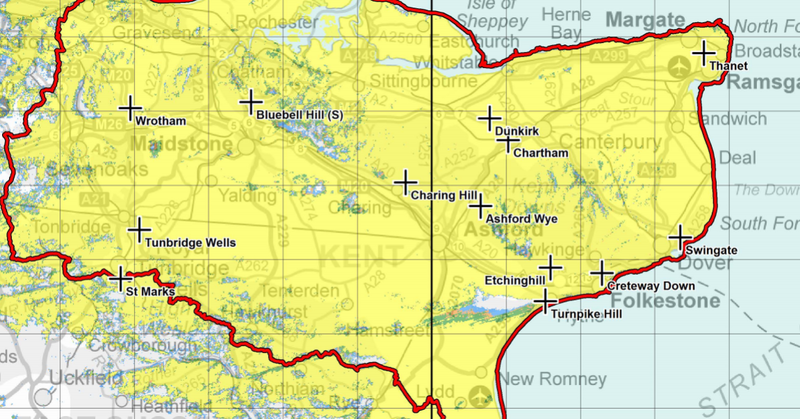 In addition to today’s transmitter, over the past six months further new transmitters have launched across Kent at Wrotham, Swingate, Etchinghill, Benfleet, Creteway Down, St Marks and Dunkirk. Collectively the transmitters have expanded and boosted local DAB coverage across the county, and brought local DAB digital radio to listeners in the South East of the county for the first time along the coast from Dungeness to Deal, including Hythe, Folkestone and Dover, and across the South Downs. 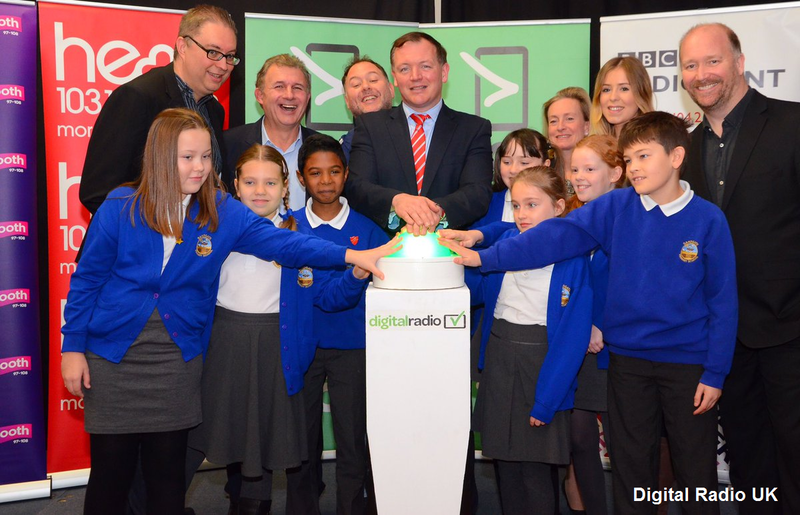 The new digital transmitters have been built by communications infrastructure company Arqiva and are part of an industry and Government programme of work to build a further 182 local DAB transmitters. This will extend local DAB coverage to more than 91% of the population, bringing eight million listeners across the UK into coverage and adding over 4,160 miles of roads. In a recent statement, Arqiva confirmed that the last transmitter upgrades on other local DAB multiplexes would be completed early in 2017.